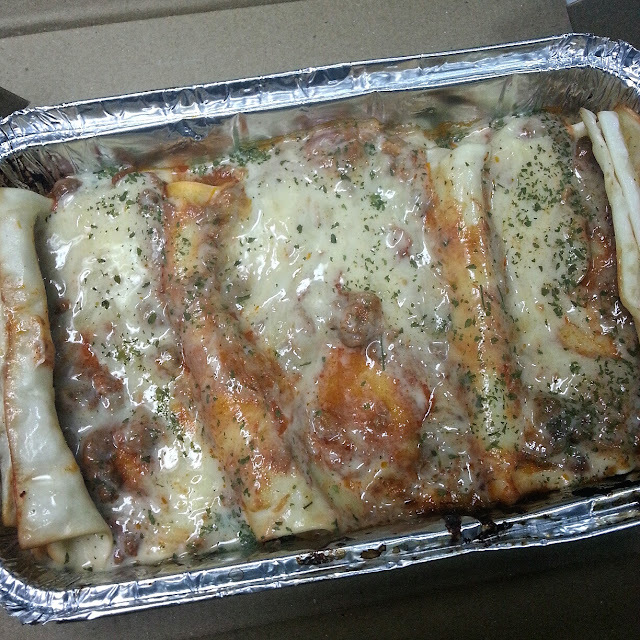 Break time is Greenwich Lasagna Supreme time! "No man is an island" is a popular quotation we've all grown up to. It's true, because we all rely to our family and friends when we celebrate our successes or cry out our frustrations. And when these moments happen, it's always great to share stories over a good meal - in my case, it's Greenwich Lasagna Supreme. I started my new journey at work last November 2012. There was the usual fear of acceptance and workload, but I'm glad I have a team who's just so warm and supportive. 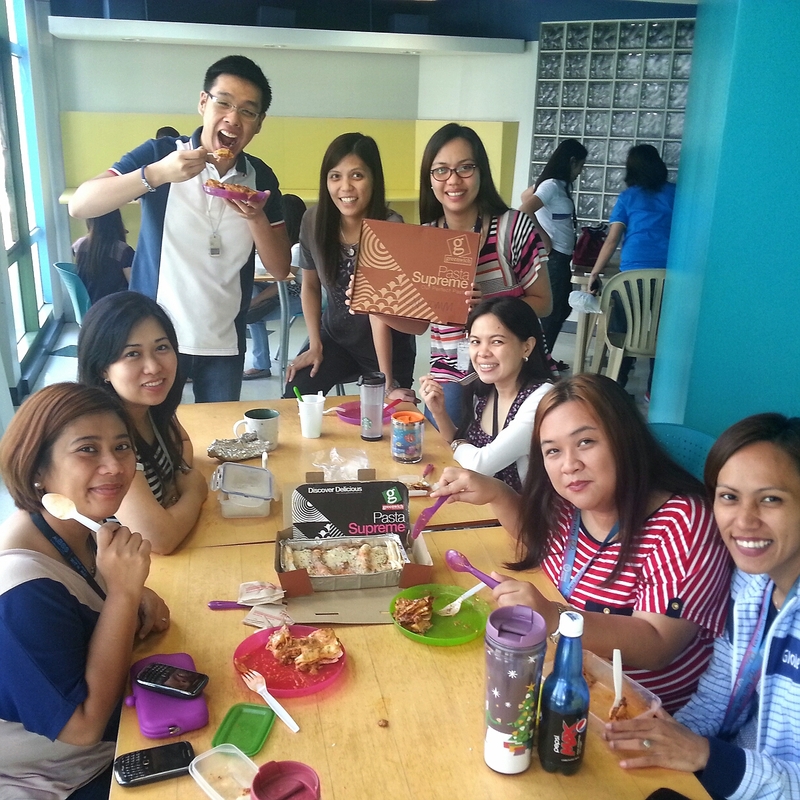 It was an easy time adjusting to my new company, because I have these great folks who always make me smile. In fact, they're also there to comfort me during those times I felt frustrated and depressed. So when I got loads of lasagna at home, it didn't take a minute for me to think of who to share it with. 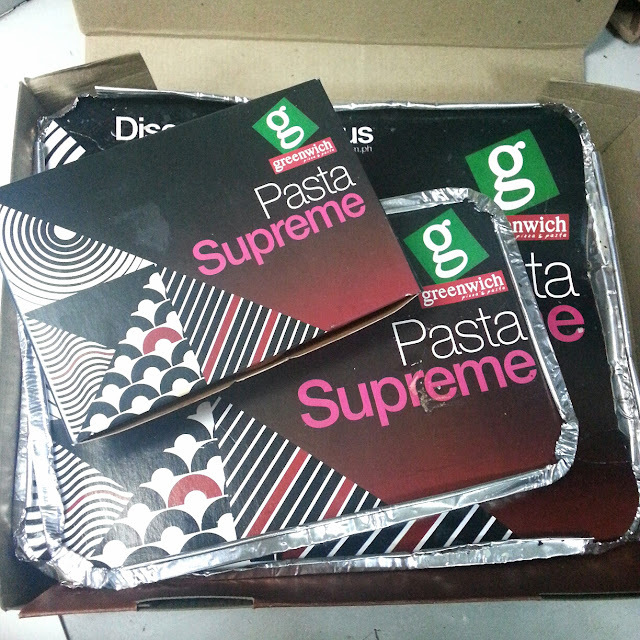 We consumed the small boxes at home, while the huge tray of Greenwich Lasagna Supreme went with me to the office as I shared it to my team over lunch. Greenwich's lasagna isn't new. I remember ordering it when we had events in a particular mall mainly because of its tasty flavor and satiating taste. But I'm glad Greenwich looked to further improve it even more. 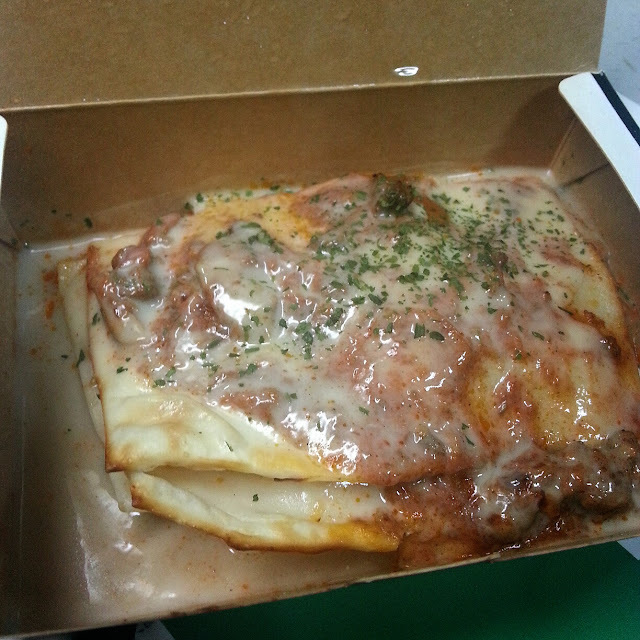 Today's Greenwich Lasagna Supreme is loaded with even more mouth-watering goodness. It has thicker noodles, chunkier meat sauce, flavored with three types of cheese, and topped with a rich and creamy white sauce. It's also served with 1pc. Garlic Stix. And as if these weren't enough, Greenwich made it very affordable for students and office professionals alike by pricing it at only Php79 for the snack size and Php99 for a full size. With the Greenwich Lasagna Supreme being our fuel for a fun lunch break at work, we got to share more stories and laughter together - truly a moment worth remembering. Thanks, Greenwich!